For anyone who loves science or science fiction, the high-quality pictures sent back from Mars by the Curiosity rover are awe-inspiring. 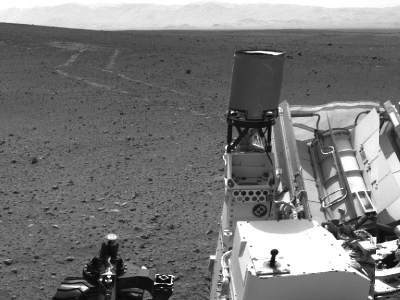 To view the latest pictures, see NASA’s Mars Science Laboratory page. My computer’s wallpaper is set to this incredible picture of Mt. Sharp, which is Curiosity’s eventual goal. 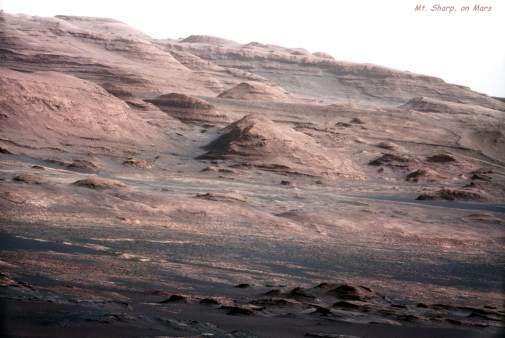 This scene shows the surroundings of the location where NASA Mars rover Curiosity arrived on Sept. 4, 2012. It is a mosaic of images taken by Curiosity’s Navigation Camera (Navcam) following the Sol 29 drive of 100 feet (30.5 meters). Tracks from the drive are visible in the image. For scale, Curiosity leaves parallel tracks about 9 feet (2.7 meters) apart. The straight lines in Curiosity’s zigzag track marks are Morse code for JPL, which is short for NASA’s Jet Propulsion Laboratory in Pasadena, Calif., where the rover was built and the mission is managed. The “footprint” is more than an homage to the rover’s builders, however. 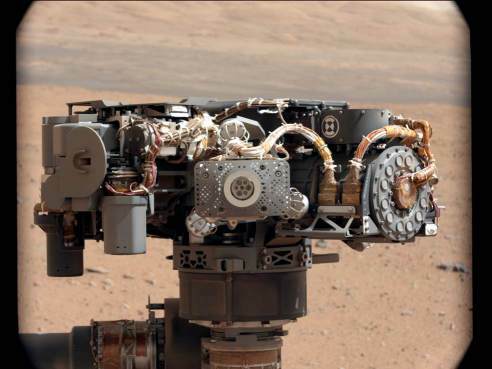 It is an important reference mark that the rover can use to drive more precisely via a system called visual odometry. 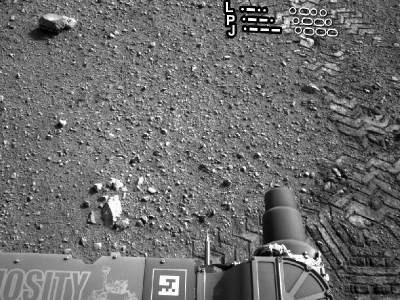 Have you been following Curiosity’s amazing trek? Do you have any personal favorite pictures?